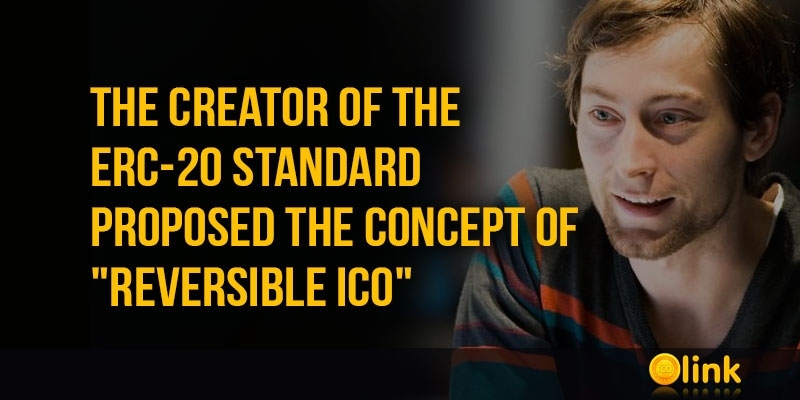 The creator of the ERC-20 standard proposed the concept of "reversible ICO"
The developer, who formalized the code that underlies most of the primary token allocations (ICO), the Ethereum standard ERC-20, proposed a new approach in an attempt to make financing schemes safer for investors. Speaking in Prague on Devcon4, the annual Ethereum Developer Conference, Fabian Vogelsteller proposed the concept of a "reversible ICO" or RICO that would allow token investors to return their funds at any stage of the project's life. In particular, the concept involves the creation of a special smart contract that allows investors to "cancel their financing obligations". "You are able to withdraw the funds you committed at any point of time and you do this by simply sending back your tokens," Vogelsteller told the audience. Returning funds to one user does not prevent others from investing in the project, Vogelsteller continued. As this is likely to lead to fluctuations in the cost of the project token, Vogelsteller said that start-ups would need some "basic funding" from private investors outside the ICO. According to Vogelsteller, these methods "make fraud unlikely." Since investors can withdraw funds at any time, ICO-startups are more actively encouraged to fulfill their promises. In addition, it "allows projects to fail in a natural way," eliminating the risk of investors losing money if the project fails. Vogelsteller said on Tuesday that many companies that organize sales of tokens are not consistent with Ethereum's decentralization vision. Startups get a lot of funding at an early stage and "fan the project instead of doing something useful." Because of his role in the ICO boom as the author of the ERC-20 standard, Vogelsteller believes that he was "obliged to come up with something better." To begin with, the concept of RICO needs to be tested in practice, and to this end, the developer will implement this method as part of his own blockchain-startup working in the fashion and design industry - Lukso.